Explore the mythical world of dragons, find out what makes these fearsome creatures legendary, and build a 3-D dragon model with wings that flap! Enter the fantastic world of dragons with this engaging and interactive introduction to the legendary world of dragons. Learn about the myths and legends of Eastern and Western dragons and become an expert at identifying the different species that are said to have existed around the world. The illustrated 32-page guidebook covers everything from dragon anatomy to how they move, what they eat, and how some fly and breathe fire! Finally, take the opportunity to bring a European dragon to life by building an impressive, large-scale model, complete with a wind-up motor to make his wings flap. 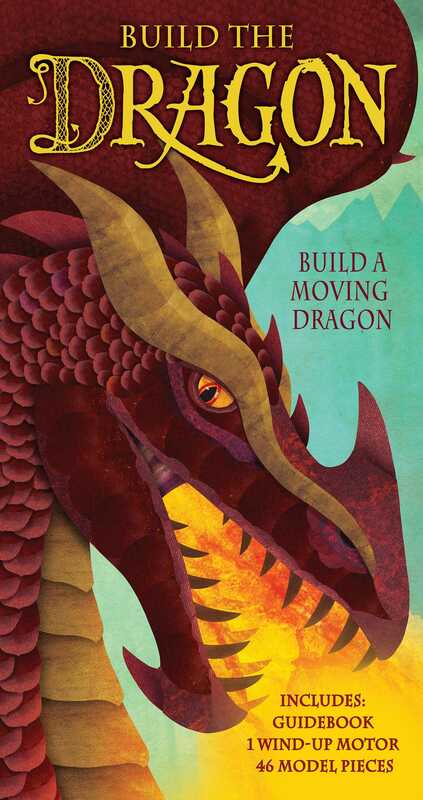 Kids ages 7 and up will enjoy this fantastical dragon adventure! Dugald Steer started his career in book publishing as an editor and in-house writer for Templar Publishing, He has since gone on to become a full-time writer and has written numerous books on the subject of myths and legends, including Mythical Mazes, Scary Fairies, An Accidental Christmas, Just One More Story, and The Night Tiger among others. He is also the author of the hugely successful 'Ology series which includes Dragonology (writing as Dr. Ernest Drake), Egyptology (as Emily Sands), Wizardology (as the wizard Merlin! ), and Pirateology (as Capt. William Lubber) as well as the 'Ology handbooks, and the Dragonology Pocket Adventures. Jonathan Woodward is a wildlife illustrator, working with a mixture of cut paper and digital collage. His clients include Penguin, Quarto, Sterling, and Random House. Jonathan is currently working with the New York Aquarium on its 2016 shark exhibit. He was also a commended finalist in 2011 and 2012 in the BBC Wildlife Artist of the Year competition. Jonathan lives in the UK.